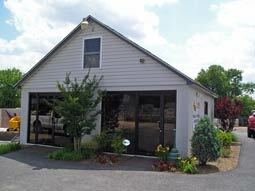 Stuckey's Lawn and Garden is conveniently located just a few miles north of Beltway Exit 34. Click here for general directions, or for a map of our location. If you've got a question about your upcoming outdoor project, we want you to know you can come to us for answers. Visit our Frequently Asked Questions page, Contact Us online, or call us at 410-391-0799. Stuckey's Lawn and Garden... We set the standard for service. Whether you're looking for mulch to enhance your landscape, young trees for planting, or retaining wall materials and patio pavers for a more complex outdoor project, Stuckey’s Lawn and Garden in Rosedale has the expertise you need to get the job done correctly. 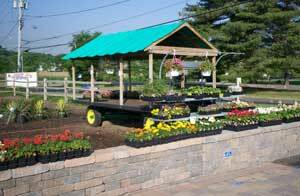 Our family-owned and operated business has been helping folks near White Marsh Maryland with lawn, garden and landscaping needs for over two decades. We have the knowledge and experience to help you with all of your lawn and landscape projects, no matter how large or small. Do you need information on a particular plant, garden mulch or equipment? If you have a question, our experts will answer it—no waiting in long lines—no hassles. Our service is second to none—we guarantee it. So come on down to our neck of the woods and let us help you with your next outdoor project. Service, delivery and expert assistance right when you need it… At Stuckey’s Lawn and Garden, we take care of the details for you.